More experimentation with glazing today. I like the two different transparent yellows that I used for glazing (lemon and Sennelier yellow).Holbein’s peacock blue is a beautiful transparent blue I used to layer on top of the yellows and reds. I didn’t glaze with reds, as they were not transparent. 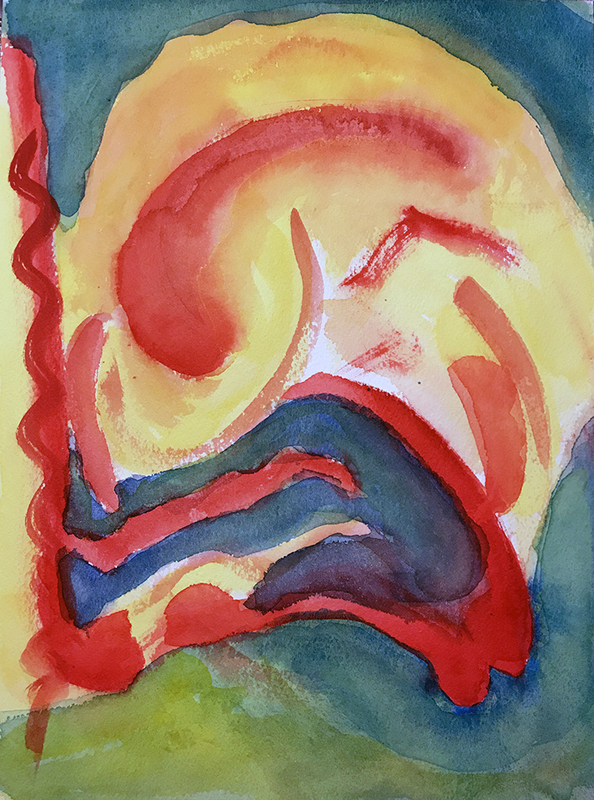 This entry was posted in Personal Stories and tagged abstract art, artistic process, creative process, creativity, glazing, layering, layering colors, painting, visual arts, watercolor. Bookmark the permalink.